I started Mencap in 2016. 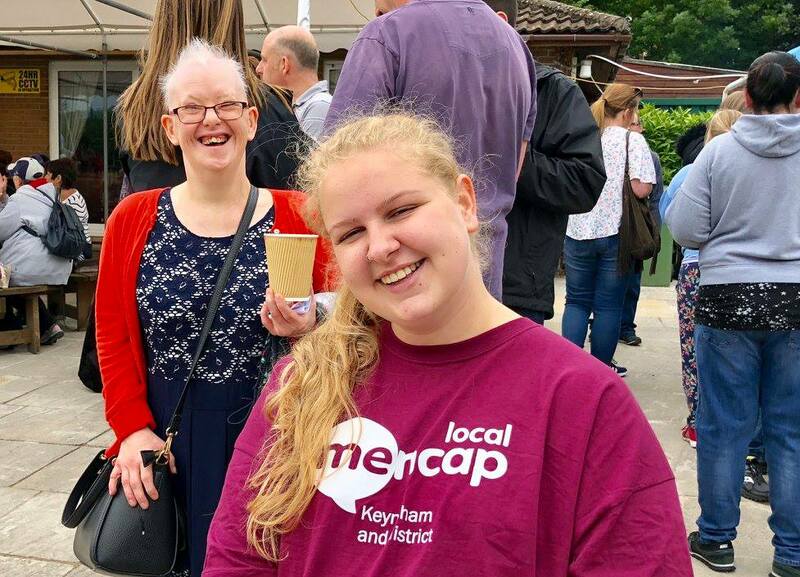 Weirdly enough I was volunteering and through this went to a day centre and saw how much of a difference people were making to the guys they were supporting with learning disabilities and decided I wanted to do the same but whilst I was at college; somebody recommended Mencap! 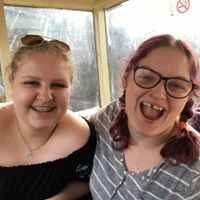 The only experience I had of volunteering or working with learning disabilities was at a day centre for a day placement through college but this is it! 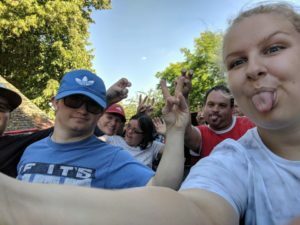 I volunteer for ALL THE HOLIDAYS POSSIBLE AT 18+, I also do 18+ Club, Fitness Club (when I can), I used to do Go Explore and do as many day trip as possible for example the Music Man Project in London and a trip to the Special Olympics. 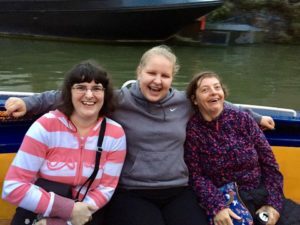 As a volunteer I make an absolute fool of myself every Thursday evening, eat lots of food, do every activity you could possibly think of and love every minute of it. But other than this, I just support the members to enjoy themselves and interact in activities. We either go out or stay in, but either is still full of fun. Some nights I’ll either dance all night, sing my heart out, do weird yoga moves, eat until I’m stuffed… other nights, it’s all of this in one! Besides this, I can guarantee you’ll be laughing until you’re crying every session with who I call my second family. The best thing about volunteering is that I’m always happy to see the members and staff. I have made lots of friends through this and have learnt so much. 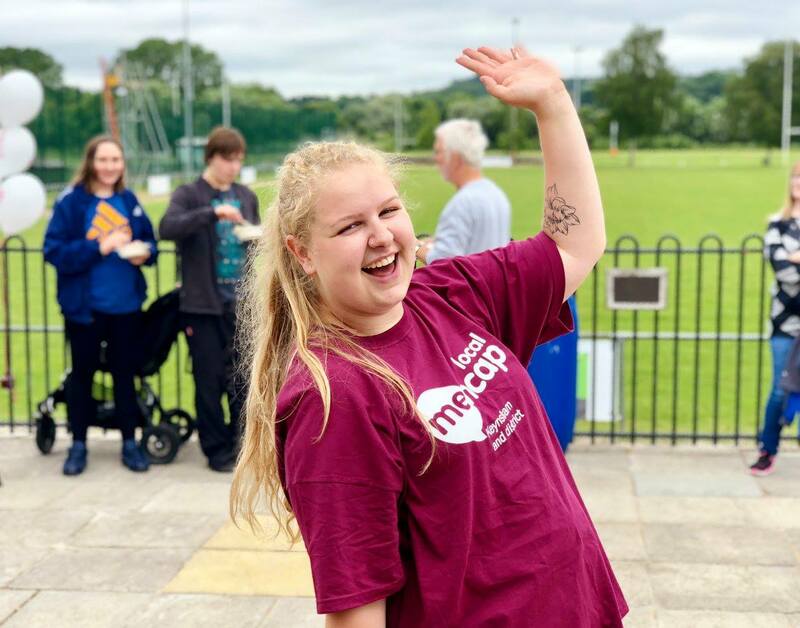 Club always cheers me up and the best thing is, no matter what I know Mencap will brighten my week guaranteed. I feel super loved and appreciated, you get out of it as much as you put in! If you are considering volunteering I would say DO IT! YOU WON’T REGRET IT! It’s changed my world in many ways especially my future aspirations such as my career! 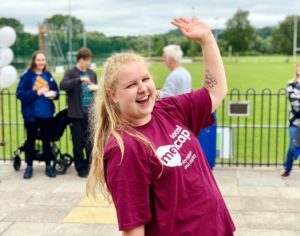 I love love love Mencap, the staff, the members and memories, I will treasure it all, everyone should experience Mencap haha!